On 22 January 2017, Bahraini government forces summoned human rights defender Ebtisam al-Saegh for questioning. 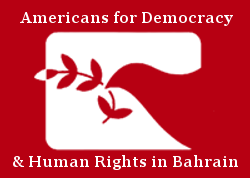 Al-Saegh works to document human rights violations on the ground in Bahrain. The authorities notified al-Saegh that she would be expected at the Department of Criminal Investigation (CID) in Muharraq. Prior to the investigation, officials did not notify al-Saegh their reason for the investigation. Sources report that authorities at the CID confiscated al-Saegh’s mobile phone upon her arrival to the facility on the morning of 22 January 2017. They forced al-Saegh to wait approximately three hours past her scheduled meeting time before officials began questioning her for investigation. The CID investigator questioned al-Saegh about her human rights work, including statements she allegedly made about the recent executions in Bahrain and past appearances on television news channels. The authorities warned al-Saegh that she must not cross the “red line.” Despite al-Saegh’s attempt to understand what the “red line” meant, the investigator did not clarify. The CID officials posed threats of denaturalization and detention to al-Saegh. The investigator further threatened to open cases against al-Saegh’s family members if she did not cooperate. At the end of the interrogation, al-Saegh was allowed to leave the CID facility. This is not the first time al-Saegh has been targeted as a female human rights defender in Bahrain. On 12 June 2016, one day before the start of the 32nd Session of the United Nations (UN) Human Rights Council (HRC), Bahraini authorities subjected al-Saegh and a number of other human rights defenders and activists to travel bans. None of the individuals who planned to travel to HRC 32 were aware that authorities had barred them from leaving the country until they arrived to the airport intending to travel to Geneva, Switzerland. Additionally, al-Saegh was a participant in a workshop with the Office of the High Commissioner for Human Rights in Bahrain earlier in 2016. The prevention of al-Saegh from leaving Bahrain to attend HRC 32 was a direct reprisal against her for her human rights advocacy work. In November 2016, authorities called a number of human rights defenders and civil society activists in for questioning. Officials at the Cybercrime Unit in the Public Prosecution Office (PPO) in Bahrain called al-Saegh in for questioning on 23 November 2016 for twitter posts. Similar to her most recent interrogation, authorities did not at the time give al-Saegh a reason for her summons. Along with at least 26 others, officials used these summons to harass members of Bahrain’s human rights community by interrogating them, subjecting many to travel bans, and formally charging some. At this time, authorities still banned al-Saegh from traveling. Al-Saegh is the latest female human rights defender subject to harassment for her work. On 15 August 2016, Bahraini authorities arrested Ghada Jamsheer at the airport upon her arrival to Bahrain from the United Kingdom. Officials arrested and imprisoned Jamsheer for charges against her related to tweets she made about highlighting corruption in a government hospital. Jamsheer remained in prison for almost four months for the tweets. During that time, prison officials subjected her to facilities where reports claim poor temperatures and unsanitary living conditions. Jamsheer was released from prison on 12 December 2016. However, authorities did not drop the charges against her and required her to work off her remaining sentence at a government position. The recent interrogation of Ebtisam al-Saegh on 22 January 2017 is the latest example in a string of harassment cases against female human rights defenders. The summons and interrogation of al-Saegh come as a reprisal against her for her work documenting human rights violations in Bahrain. We call on the Bahraini authorities to immediately end their harassment of al-Saegh, including the threats against her family members. The Government of Bahrain must allow all human rights defenders and civil society activists to work within and outside the country without fear of reprisal or harassment.